Gray Cowl of Nocturnal Alikr Flora Overhaul Traducao PT-BR Obviamente você tem que ter o mod original. Any plans to upload this mod to sites other than Nexus or TESA will require my express permission. 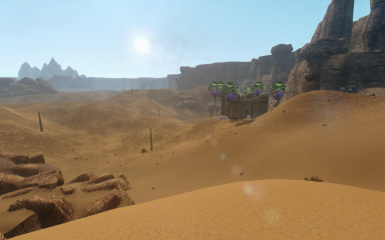 Resources of this mod are marked as NOT for profit and cannot be used in a for-profit mod. 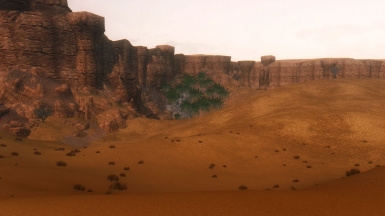 Added new tree LOD for better distant visuals. 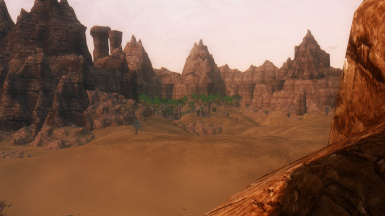 Tree billboards for LOD generation has been created for those who wish to regenerate the LOD using DyndoLOD or TES5LODGEN. 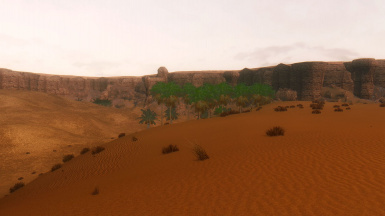 This version intended for the Director's Cut Edition, especially with new terrain edits. Cannot be used with older versions of GCN. Fixed missing acoustic space in Akavir worldspace. 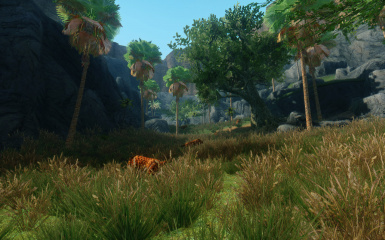 Added new flora and tree types. Now includes bamboo and dead trees. Added area called The Dead Forest with undead NPCs -- skeletons and draugr. East of the Lucky Lantern. 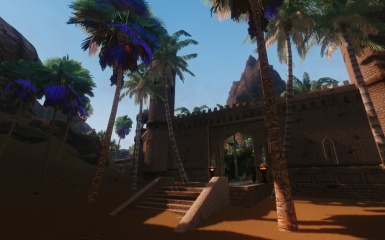 Tomb exterior and Akavir gets more foliage. Removed planter on top of Moonlight Home, due to collision. Bad BSA file/directory structure, so had to repack the BSA from CK. 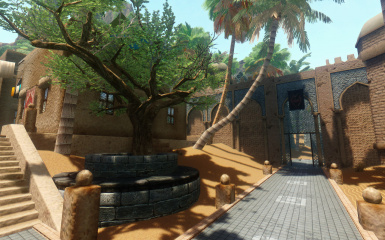 Fixes to archive and BSA; removed unnecessary files after first user reported that some textures are being overwritten. 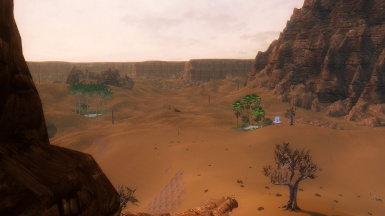 Added optional compatibility patch for Convenient Horses so that owned horses can be summoned into the Alik'r Desert. 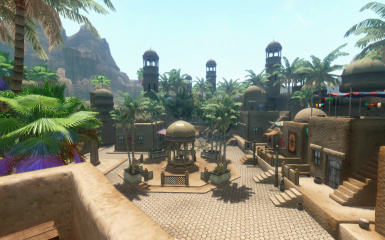 I've recently finished the mod's main quest, and yeah, did noticed that the town (an Imperial colony, really) was being baked in the sun. 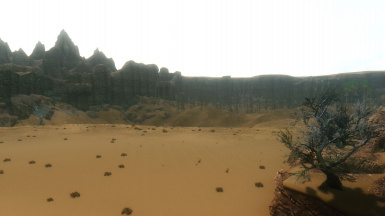 Immersion-wise, that much heat in this place is enough to kill. What I did was to fire up CK, gather some of GKB's tree resources and went to work. 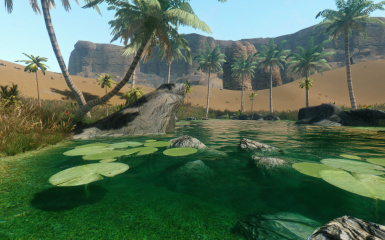 As a result, I've added a lot of flora in and around the colony, plus some more in the other oasis scattered across the desert... Just like what Skyrim Flora Overhaul does for the rest of the game. 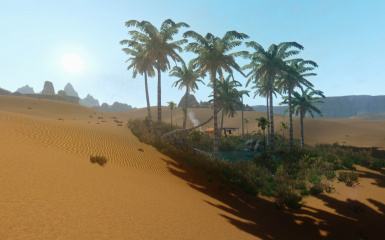 But as this is a WIP I still have to find other spots to plant more palms. 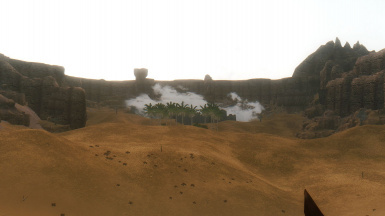 Some of you who watched The Mummy Returns may also love the little touches I added to the Oasis of Mora Sul. 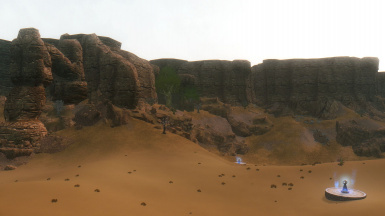 More areas may be considered later for adding vegetation. 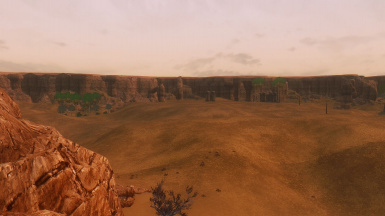 Are you, using Convenient Horses, frustrated at being unable to bring your horses into the Alik'r Desert? 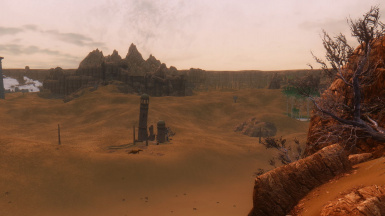 Thanks to Moirai and Exalerion, it turned out it was possible to force Convenient Horses to recognize the Alik'r worldspace, so I created a compatibility patch that allows me to finally bring in Shadowmere. Previously, I once tried to recompile the script to make CH compatible with EFF 4 and Gray Cowl, but I still got errors because the compiler were also looking for other scripts belonging to other custom followers with specialized programming. 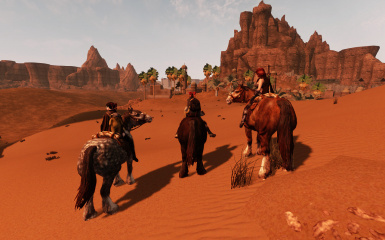 Do note that this rudimentary patch only adds the Alik'r worldspace name for Convenient Horses to recognize, but does NOT add factions required for friend-or-foe identification. Simply install the mod from NMM or MO. Make a gamesave inside any interior cell, then exit, deactivate the old version, then install and activate the new version from your mod manager. Make a gamesave inside any interior cell, then exit, deactivate and uninstall from your mod manager. 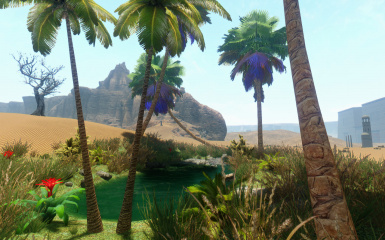 This mod is compatible with popular flora add-ons and environmental overhauls such as Skyrim Flora Overhaul and any of AceeQ's mods. 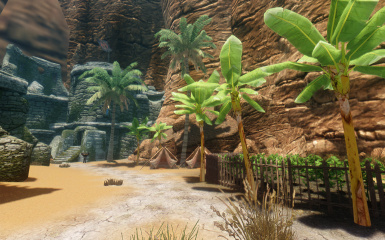 Portion of Harvestables by ChickenDownUnder (note that the bamboo in this mod isn't harvestable) -- http://www.nexusmods.com/skyrim/mods/15108/? other than Nexus or TESA will require my express permission.